1 in 5 Americans is an informal Caregiver. Medicare.gov estimates there are "66 million Americans caring for an aging, seriously ill, or disabled family member or friend." As of August 2016, the census bureau reported the US population at 324 million. That's 20%, or 1 in 5 Americans. 20% of the population you serve, too. If you provide healthcare today, informal Caregivers are profoundly influencing the success of your patients. Informal Caregivers are most often spouses or adult children, or parents, and the majority live in the same home with the patient. In-home caregivers are present with the patient frequently, in many cases continuously. They assist patients with activities of daily living, provide transportation, and accompany them to healthcare encounters. Equip your Caregivers to be safe and effective. Caregivers are in a position to closely observe signs and symptoms. Teach your Caregivers what to look for, and how to report. Caregivers can influence compliance with treatments and interventions, such as encouraging exercise and keeping meds on schedule. Engage your Caregivers in the care plan, and teach them how they can help. Caregivers are willing, but are they capable? However much nurture is our nature, no one acquires these skills accidentally. Teach your Caregivers how to Care. Skilled, educated Caregivers improve patient outcomes through better care at home. “Worry, doubt, confusion, depression, anger, and feelings of being overwhelmed was what I felt when I realized I was the "Caregiver". "This guide has transformed me into a confident caregiver knowing I could find the answer to most all situations I faced as a caregiver to a loved one and friend. It also made me realize the importance of taking care of myself." Thankfully, there is growing recognition of the contribution of informal Caregivers. Some organizations are working to expand the resources available to Caregivers. More help is needed. When your circumstances are like Mary Lou's quoted above, you really need clear, concise, organized guidance. You should not have to find your own way through. e-Caregiving is concise and complete, an organized curriculum. The most fundamental assistance you can provide Caregivers is education.Teach your Caregivers how to Care. 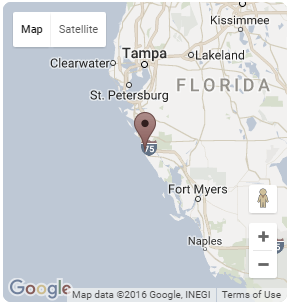 We serve caregivers and providers all over the world from our home base on the gulf coast of Florida, USA. At e-Caregiving.com, we're always excited to hear your feedback. Is there something you'd like to see added to the content? Is there a better way for us to help you find the support you need? Please call or write to tell us about it. To join the providers helping their patients and communities with in-depth caregiver support, please reach out to us right away. We're pleased to assist with your own branded e-Caregiving content.